For thousands of years on our planet, humanity has been involved in a symbiotic relationship with plants. Not only have plants supplied mankind with a never-ending food source, the necessary nourishment for our bodies, and life itself, but they have also served us in another way: an extremely important and intricate one, yet an often overlooked one. 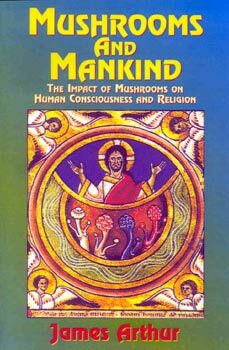 This book uncovers the natural link between man, consciousness, and God. This discovery may at first seem abstract, wishful thinking, or even impossible; yet as evidence presented on these pages unfolds, you may find that its understanding does not require as much of a leap of faith as you might think. It is a bold claim, but if the pioneering research in this book turns out to be true, this may be one of the most significant discoveries in the entire field of religious knowledge ever to happen in the history of mankind. Should people use the knowledge found in this work, it would allow many on this planet to put their differences aside and join in the understanding that each and every one of us may now experience that which has been, until this time, hidden away inthe recesses of our spiritual history. We may at last be able to open ourselves to an entirely new and valuable consciousness.